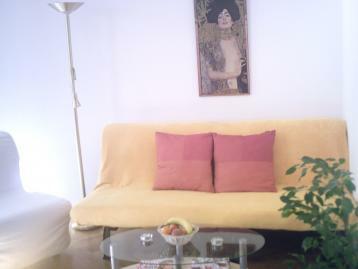 Elegant 2 rooms apartment very centrally lokated close to the most famos shopping street Mariahilferstra�e in one of Viennas most lively and popular residental areas.In just a few minutes walking you'll reach the both Hofmuseums,Volkstheater,Hofburg as well Ringstra�e and the 1. district. The flat is situated onthe 2. floor (with elevator). There are 2 separate rooms- livingroom, bedroom ,full equiped kitchen,bathroom with shower and serarate WC.Internet is 24h and free of charge.